￭ Modern customizable Windows Explorer like interface. ￭ Drag and drop files from the explorer view of the program and Windows Explorer to the project view. ￭ Uses different poject view layouts for different type of projects to make the users work easier. ￭ Features a separate express application designed to guide the user to the most essential tools as quick and easy as possible. ￭ Fully translatable interfaces for the main application, express application and the shell extension. ￭ Integrates with explorer and adds new shell context menu options. ￭ Record saved projects and disc images. ￭ Open and edit saved projects. ￭ Highly customizable, can be displayed in a submenu and with or without menu icons. ￭ The shell extension can be registered with any file extension that the user wants. · Create custom data, music and mixed-mode projects and record them to physical compact discs or disc images. · Create and record disc images. 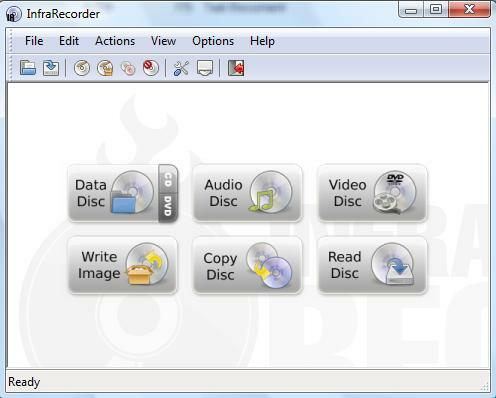 · Create direct disc copies, on the fly or by using a temporary disc image. · Erase (blank) rewritable discs using four different methods. · Import session data from multi-session discs and append more sessions to that kind of discs. · Fixate discs (write lead-out information to prevent further data from beeing added to the disc). · Scan the SCSI/IDE bus for devices and collect detailed information about their capabilities. · Display detailed disc information. · Scan selected tracks for errors. · Internet Explorer 5.0 or newer. · 7.2 MB of available hard disk space.